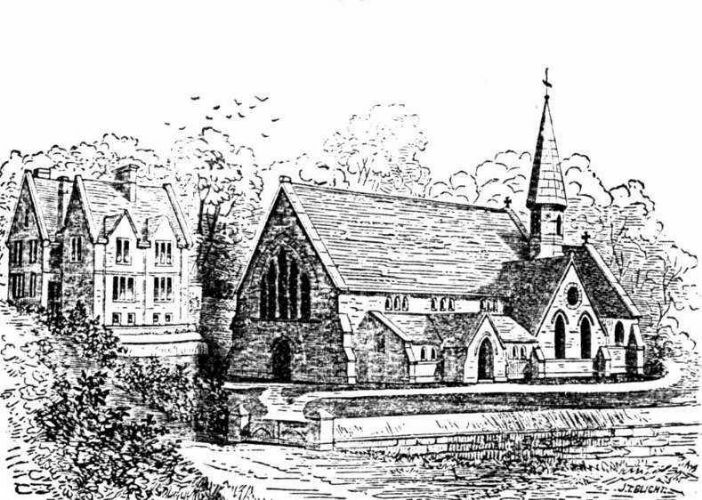 In a letter dated March 21 1877, the Rev John Pope Vibert said 'I venture to write on paper with a picture of my church and parsonage on it although not quite accurate.' The picture was by Blight. The Rev John Pope Vibert was appointed to the incumbency of St Peter's, Newlyn in 1856. At that time the services were held in a small room so he set about building St Peter's Church which was completed in 1866. He also built a school for about fifty children which was connected to the church. Vibert died in 1873 and left a widow and nine children almost wholly unprovided for. His obituary was published in the Cornish Telegraph on 3/9/1873.